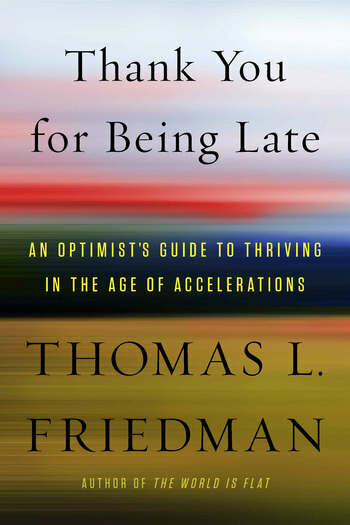 Friedman begins by taking us into his own way of looking at the world—how he writes a column. After a quick tutorial, he proceeds to write what could only be called a giant column about the twenty-first century. His thesis: to understand the twenty-first century, you need to understand that the planet’s three largest forces—Moore’s law (technology), the Market (globalization), and Mother Nature (climate change and biodiversity loss)—are accelerating all at once. These accelerations are transforming five key realms: the workplace, politics, geopolitics, ethics, and community. Thank You for Being Late is a work of contemporary history that serves as a field manual for how to write and think about this era of accelerations. It’s also an argument for “being late”—for pausing to appreciate this amazing historical epoch we’re passing through and to reflect on its possibilities and dangers. To amplify this point, Friedman revisits his Minnesota hometown in his moving concluding chapters; there, he explores how communities can create a “topsoil of trust” to anchor their increasingly diverse and digital populations. 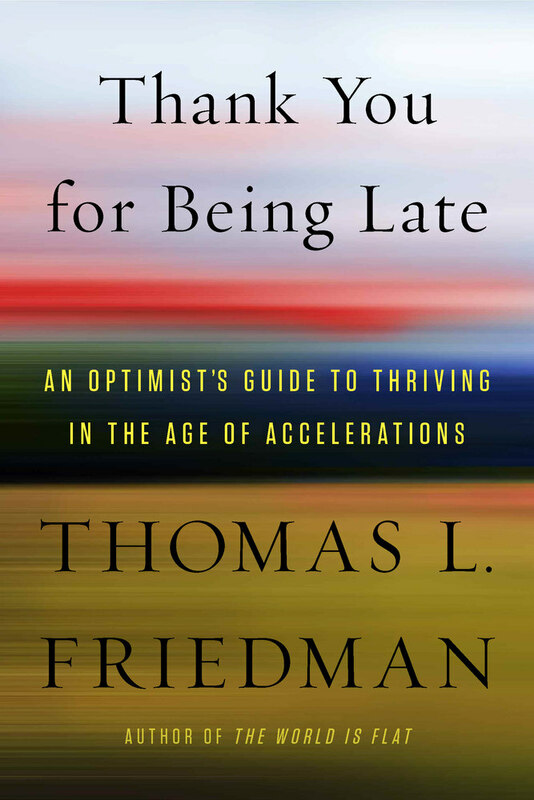 Thomas L. Friedman is a three-time recipient of the Pulitzer Prize for his work with The New York Times and the author of several bestselling books, including The World Is Flat.